This product contains all the latest drivers for OS/2 and eComStation developed by Arca Noae; in addition it gives you access to a large repository of software which may be installed using our simple to use GUI. This product contains all the latest drivers available for OS/2 and eComStation developed by Arca Noae; in addition it gives you access to our growing repository of software which can be installed using our simple to use GUI. This subscription is not intended for ArcaOS systems (see note, below). Some drivers may not be immediately available for download. Additional drivers may also be added in the future. Arca Noae reserves the right to add, remove, or change content included in the subscription at any time and for any reason. 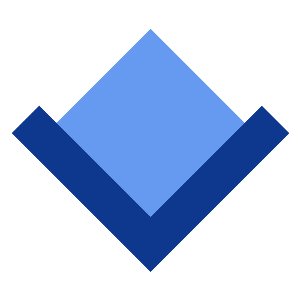 For more information, see our development roadmap. This product is a subscription; it entitles you to the newest versions of drivers and software for a period of 12 months after purchase. After these 12 months you may no longer download the drivers or access our software repository or bug tracker unless you renew your subscription. However, your currently installed software will continue to work. You may also (re)install the drivers and software on your systems after your subscription ends. The subscription includes Arca Noae-developed drivers and software and may include additional work by third parties which we consider important to all users through our convenient distribution channel. Arca Noae provides support for Arca Noae-developed drivers and software for the duration of the subscription. Also note that this product is not a license for OS/2 or eComStation; you must have a legal copy of either operating system. This subscription is not intended for use with ArcaOS. Instead, please subscribe to ArcaOS Support & Maintenance. The Personal version is intended for private users, students and private developers. The ACPI driver, USB drivers and Panorama graphics driver may only be used on a maximum of 5 systems with the personal edition. Many people ask about the differences between an OS/2 & eCS Drivers & Software subscription and an ArcaOS Support & Maintenance subscription. Hopefully, this table will help bring things into focus. 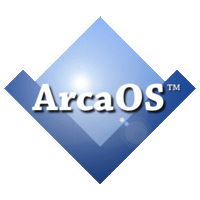 Users of ArcaOS should purchase the ArcaOS Support & Maintenance subscription; users with other version of OS/2 (such as eComStation, Warp 4 and 4.51/4.52) should purchase the OS/2 & eCS Drivers & Software subscription. Note that ArcaOS Support & Maintenance can only be purchased by licensees of ArcaOS. New ArcaOS disc images between releases 5.0.1, 5.0.2, etc.